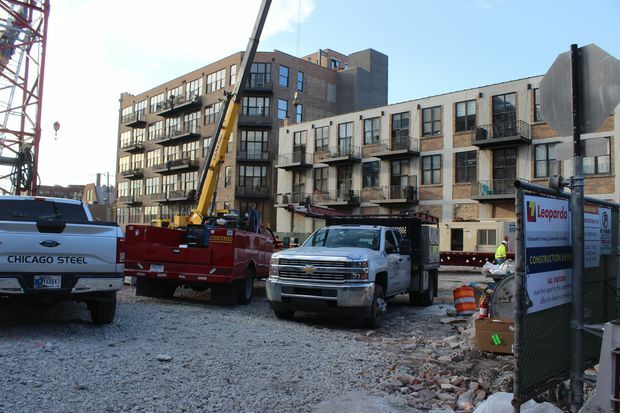 Construction is underway at 210 N. Carpenter St., and adjacent neighbors want the alderman to halt the project. 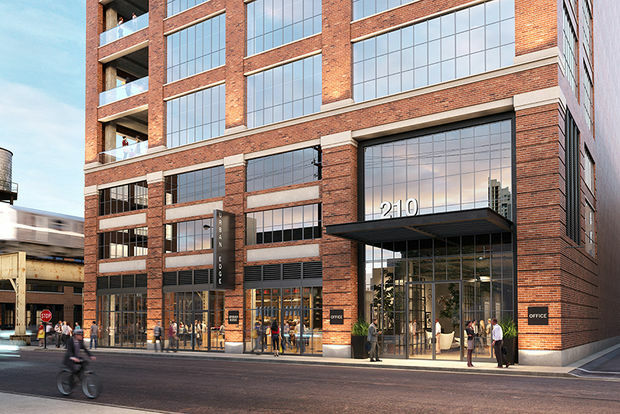 WEST LOOP — With six months until McDonald's is set to open its new West Loop headquarters, the nearby "Vendor Village" is readying for construction on its own 13-story office building. But neighbors, first concerned about the height of the 163-foot structure, are looking to halt work until questions are answered about a 16-foot wide alley they say is too narrow to separate 210 N. Carpenter St. from a 73-unit condo building. Friends of Fulton Market will host a meeting at noon Oct. 14 at Honey's Chicago Restaurant, 1111 W. Lake St., to ask 27th Ward Ald. Walter Burnett Jr. and developer Sterling Bay to stop construction until the "major risk" created by the narrower alley can be addressed. The alderman said the issue is moot. "This info they're getting about the illegality of the alley is wrong," Burnett said Wednesday. "They can keep pushing all they want, but I'm going to continue to do what is right." As evidence, Burnett offered a letter from Chicago Department of Transportation Commissioner Rebekah Scheinfeld. The city's design standards — which are not bound by city ordinance — do recommend newly built alleys measure 18 feet wide "where possible" within the greater Downtown area that includes the West Loop, Scheinfeld said. Elsewhere, the minimum is 16 feet. But old alleys are considered case-by-case. While developers can extend the alley onto their own property, "the dedication process is long, and reducing the property area often has zoning implications or limits the footprint of the buildable area," Scheinfeld wrote. The width of the alley will be unchanged, and Sterling Bay agreed to build 6 feet south of the alley as it is, a spokeswoman said. The company made several other changes to accommodate neighbors' concerns, and plans were approved by City Council and city officials, the developer said. Across the alley, residents of Blue Moon Lofts fear that the narrower alley will make it more difficult for emergency vehicles to access their homes, condo board president Michael Leyva said. "Worst-case scenario, it could absolutely have a life-changing impact on people in the building," Leyva said. "We're going to be left with, for the next 200 years, an illegal alley that we could have stopped." But Burnett, who said he doesn't plan to attend the Oct. 14 meeting after Friends of Fulton Market have attended several of his ward nights to discuss the issue at hand, said the Blue Moon Lofts condo owners have problems of their own to deal with. The historically landmarked building at 215 N. Aberdeen St. has balconies facing the alley, which is typically against city regulations, Burnett said. To be in compliance, the building should have a permit for the balconies but does not, he said. "I'm not going to make them take down their balconies — which I can do — but they have to talk to me about making them legal," Burnett said. "But you can't be wrong [yourselves] and try to fight." 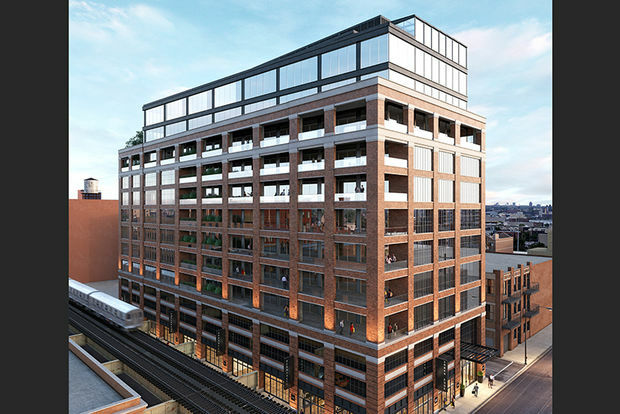 Burnett said he credits the condo owners with his decision to no longer allow new residential buildings in the Fulton Market District. "I don't need residents going against businesses in a business area," said Burnett, who added that he was comfortable with his decision to allow Sterling Bay to leave the alley at 16 feet. Leyva said he felt Burnett's response about the Blue Moon Lofts' balconies was dismissive of their safety concerns. "We have an alderman who doesn't protect us," Leyva said. "And not only doesn't protect us, but when we raise the issue, his response is to back up Sterling Bay and threaten us into being quiet." The new Carpenter Street building is expected to open in fall 2018 and attract vendors and suppliers that work with McDonald's as the fast food giant moves its corporate headquarters to the West Loop.